Donald Floyd Larson, 83, of Harvard, died Wed., Jan. 30 at his home. Donald was born May 13, 1935 to Clyde and Renee (Vantwood) Larson in Glenview, IL. Donald attended the University of Illinois in Champaign and graduated in 1957. In that year married Jacquelynne Borst . He was an All American swimmer and NCAA champion in college. He held a swimming record for many years. In 1958 he had a new Baby Daniel, new wife, new house, new car, and new job. Later, he had David and Christy. He taught for 34 years at Niles Township 219 were he taught physical education and was a swimming, gymnastics and soccer coach. His outstanding coaching career spawned many collegiate swimming champions. Donald purchased land in 1968 in Alden and planted pines there for Christmas Trees. He was a hobbyist woodworker and designed and built a home on the Alden property. There he learned farming from local neighbors, and went on to raise Hereford beef cattle, grew corn and hay. On some of the land, he turned pastureland into prairie land and also established an Oak Savannah with planting 1500 seedlings. On July 11, 1981, Donald remarried Carol Skweres in Alden, and fathered 2 children Jennifer Pahl and Jodi Larson, whom both graduated from Harvard High School. Donald was elected and served on the McHenry County Board for 16 years and was Vice President for 2 years. 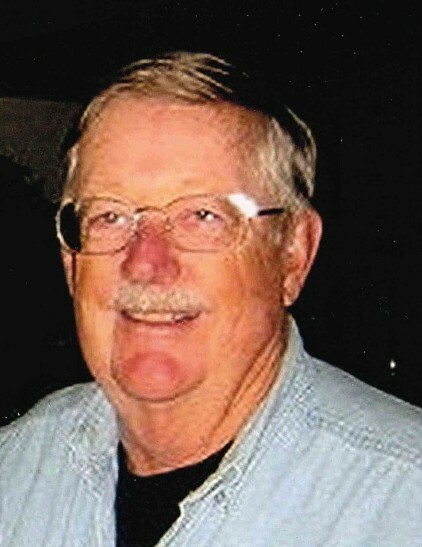 He served as President, Secretary and Treasurer as a member of the Harvard Lions Club for over 30 years. He served on the Dells Club Condo Board for about 18 years. He was also on the McHenry County Mental Health Board for 12 years, serving 2 years as President. In addition, he was active in the McHenry County Defenders, Harvard Community Partnership Coalition, Fox Valley Water Advisory Board and seed collector for McHenry County Conservation District. He is survived by his wife Carol Larson of Harvard, children Daniel Larson of Peoria, AZ, David Larson of Scottsdale, AZ, Christy (Truit) Trowbridge of San Diego, CA, Jennifer (Louis) Pahl of Milwaukee, WI, and Jodi Larson of Rock Island, IL, adopted daughter Sandra Salas of Atlanta, GA, 5 grandchildren Tianna and Isabelle Larson, Michelle, Citlali, and America Salas Abrego, sister Janet (Pat) Mulvaney, brother Larry (Cleone) Larson, sister-in-law Gail Larson, and brother-in-law Travis Smith. He was preceded by his parents Clyde and Renee, parents-in-law Henry and Julia Skweres, Jacque and Lynne Borst, brother Richard Larson and sister Dorothy Smith. The visitation will be from 4 – 7 PM Fri., Feb. 8, and again from 10 AM until the 11 AM funeral service Sat., Feb. 9 at Saunders & McFarlin Funeral Home, 107 W. Sumner St., Harvard, IL 60033. Burial will be at Alden Cemetery in Alden, IL. Memorials may be made to the Harvard Lions Club, 17301 O'Brien Road, Harvard, IL 60033.